For many years the Victorian Storybook village known as Heritage Square has thrilled and entertained children, shoppers and entertainment goers alike. It is also a historic landmark, one of the oldest remaining theme parks on earth, possessing a historic significance that reaches far beyond the institution its modern visitors and shopkeepers have known. For most, even owners and tenants, its colorful origin has remained a great mystery: Magic Mountain. 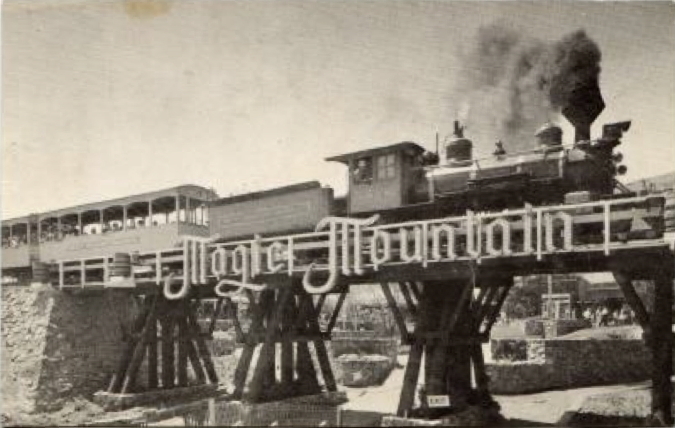 Lying within this exhibit are the dreams of what Magic Mountain was hoped to be, and what it became. See the legend behind the reality of Heritage Square!